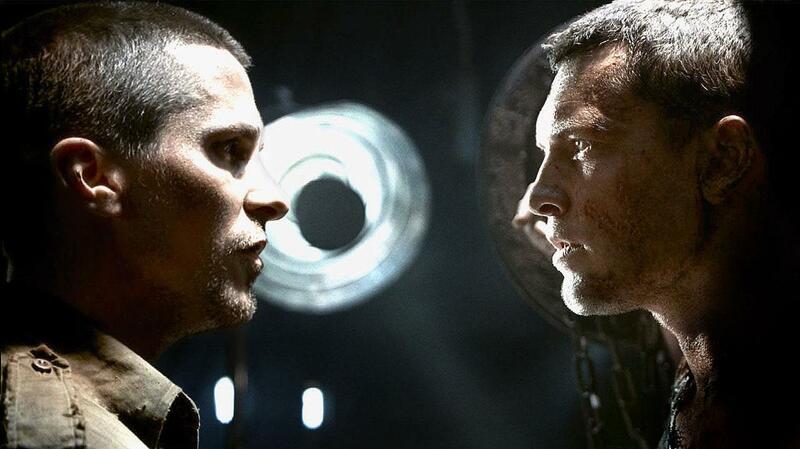 Terminator: Salvation was on this weekend and we watched it despite my desire never to do so again. We couldn’t find anything else to watch so we decided to give it a second chance. The second time Kyle met John Connor was just as momentous, though confusing. It was shortly after John had led the massive offensive attack against Skynet's base of operations. What Kyle did not know was that when John and his team finally entered the facility, they found it dark. Lifeless, save for the lingering sparks of energy given off by a single machine in a large, otherwise empty room. Information flashed on the computer monitor. Time had come. Kyle volunteered for the top secret mission, never once expecting to be chosen. He was just a kid who had done nothing to prove himself any more special than the other soldiers fighting at his side. Yet he was chosen above all to perform this task on which their very future depended: Protect Sarah Connor. Sadly, Terminator: Salvation failed to give this to me. I forgive the film for not adhering to this plot line. The magic of this saga is that there are so many roads that it can take, often, as it seems, foregoing continuity. Such is the nature of the terminator time line. The future is tangled in the past. JOHN CONNOR CANNOT EXIST WITHOUT THE T-800! But in this film, John had no clue what they were. In fact, this concept was the entire plot. They even went so far as to have him repeatedly referring to his mom's recorded messages where she somehow forgets to tell him about the terminators that look human. There is no excuse for this massive omission. Nothing to explain it away. John Connor was born because a T-800 was sent back to kill Sarah Connor and Kyle Reese was sent back to protect her. And where is Kyle in this film? Oh I dunno. You'd think, if your existence was based on your daddy's survival, you'd keep him under close watch. But John seems to have no active plans to find Kyle until the end when he learns Kyle is alive. Then he proceeds to convince his people, against Michael Ironside's wishes, to hold off on a major offensive against Skynet because "our future and our humanity depend upon it. Trust me." Gee John, you think an awful lot of yourself, don't you. This isn't a horrible movie. It has its merits on its own, I suppose (kudoes to the team for the efforts put into the homage to Cameron and Arnold without making it too cheesy and corny). And I had big expectations for it, thanks to my highschool dream, so it had far too much to live up to. But when I realized what was bugging me so much about this movie after watching it last night, I realized why I had gotten up feeling so dead inside.